Cloud gaming is a new technology that delivers games direct to you over your broadband connection without the need for an expensive console. As soon as you fire up OnLive you can hop straight into a game without the need to spend hours downloading software, as the game is streamed directly to your PC, tablet computer or smartphone. 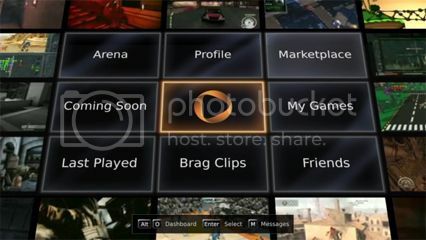 Critical Gamer got some hands-on time with OnLive to see if the established console makers should be worried by this new kid on the block. In our test of OnLive we used an Apple iMac computer which was connected via WiFi to our broadband connection. We used an Xbox 360 wired pad for Windows, which didn’t need any additional software required to work perfectly with Pro Evolution Soccer 2012, which is the game we used to test the service. 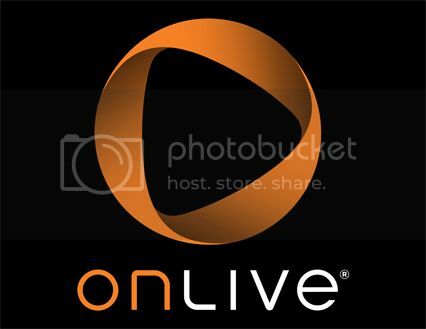 To get up and running with OnLive requires a small software installation which is available from the OnLive website. After a simple install, we created our profile and online ID within a couple of minutes. The interface is nice and clean with 9 boxes available to click on. 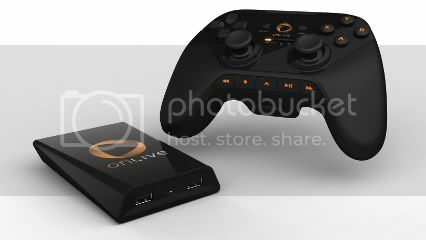 The OnLive console and joypad. The Arena lets you spectate fellow players’ games and you can cheer or jeer them as they play, which is quite a cool feature. It also gives you the option to speak to the player, look up their profile or even add them as a friend. The Profile box brings up your online profile, along with your friends list. This enables you to write them a message or have a chat with them. You can also view your Brag Clips from here, which are recordings of all your favourite in-game achievements or humiliating moments that your mates would like to forget. Marketplace and Showcase are pretty self explanatory, with Showcase giving you info on all the latest releases or bargains. Every game in the OnLive library gives you a 30 minute trial period to try them out before you buy, and if you want you can rent the games rather than paying full price for them. There is also the option to pay £6.99 a month for the PlayPack, which gives players access to 120 games in the OnLive library and exclusive discounts. 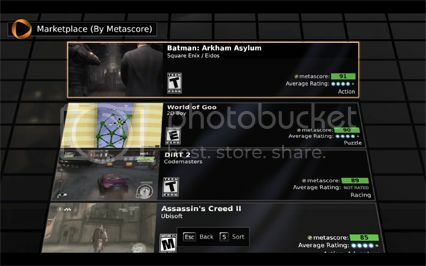 The OnLive interface also has a My Games and Last Played boxes, which are similarly self explanatory, and there is also another box here for your Brag Clips and Friends list. The OnLive symbol in the middle box is the dashboard that lets you tinker with settings. The interface is nice and clean. Once we had finished playing around with the interface we decided to test out the games themselves, with Pro Evolution Soccer 2012 being instantly playable. PES may have lost its crown recently to the revitalised FIFA series, but it is still a really good football game in its own right. All the features from the disc version are intact, with the option to play the full Champions League being of particular interest. Gameplay feels a lot faster and arcade-like to FIFA’s more simulation orientated version of the sport, and speedy wingers play a large part in the proceedings. In fact attack is the main aim of the game as defending is nowhere near as tactical as it is in FIFA 12. The computer AI is pretty good, and does a decent job of creating space for players and breaking up play. The only downside is that the goalkeepers have a bad case of butter fingers, and games can end up with plenty of goals, as keepers get into all sorts of ridiculous situations. This makes the game entertaining but also frustrating at times. The Master League is again one of the main draws of the game, with players tasked with building a team capable of getting to the top of the league table. The menus can however be a little disorientating at first, which may put off new players, but once you get the hang of it, you could easily lose yourself in this part of the game alone. Pro Evolution Soccer 2012 is once again let down by the lack of licences, with, for instance, North London and West Midland Village taking the place of Arsenal and Aston Villa, and many more getting approximate names for their teams and players. Player likenesses are very good though, which helps soften the blow. There is a fair selection of games on OnLive, and you get a 30 minute trial of each. Once we acclimatised ourselves with the game we tried an online match against a fellow critical gamer. The thing that you’ll notice with OnLive is that the picture isn’t very sharp, in fact in some instances it can look like someone has smeared Vaseline over the screen, making the menus almost impossible to read. 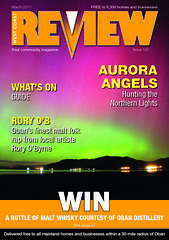 This is partly due to the picture getting compressed to enable it to be beamed quickly to your home, but the quality of the image is mainly determined by your broadband connection, and OnLive suggest you need at least a 5mb download speed to get the best connection to the service. In our own tests our broadband can hit the 5mb required, but in the evening this can drop down to 1-2mb when the exchange hits peak time. We found that when our connection was at its best the game looked really good, although not quite as sharp as what you would expect on a console or PC, but when it slowed down there was a noticeable dip in the performance. Menus could become unreadable, and we found that if player’s strips were even slightly similar in colour, the two teams could become indistinguishable from each other. However we were extremely impressed with the actual gameplay that has no input lag whatsoever – something we thought would be a problem – and it plays as it would on your home console which is a very impressive feat. Sound is similarly impressive with no noticeable depreciation in quality. OnLive is still at the embryonic stage of it’s development, which is dependant on the broadband structure of the country. Unfortunately in rural areas where broadband speeds are still catching up to the rest of the country, OnLive will struggle to catch on. But with BT and Virgin Media promising superfast fibre networks over the next three years, the system could then become a viable alternative to regular consoles, and that’s when Sony, Microsoft and Nintendo should start to worry. Without the need to spend £200-£300 on a new console, and the ability to play your games on your TV (with the microconsole), PC, tablet computer or smartphone, it really will mean the death of regular consoles. Gamers will be able to take their games collection wherever they go, in the same way the iPod liberated music collections from a CD rack to your coat pocket. Maybe the download only future isn’t the future after all, and in fact all our gaming will be done in the clouds. I've been addicted to gaming since my parents bought an Atari console way back in the 70's. I progressed to the iconic Speccy, Amiga, and all the Playstation platforms. Having seen games evolve from single pixel bat and ball, to HD constructed environments, gaming has changed much from my early years. Having defeated the rock hard R-Type on the Speccy, the biggest challenge I've faced so far is putting up with the hordes of American teens spouting abuse in the current generation of consoles, noob indeed! I’ve been playing OnLive for around a year and despite some occasional issues with lag, it’s been excellent. I initially tried it out of curiosity; BT broadband customers got a 3 month playpack offer so I downloaded the app and tried it out. Having not had a console since PS2 and Xbox, I really couldn’t afford a new one, nor could I afford to upgrade my PC with a meaty enough graphics card and memory. With OnLive, I don’t need to. Having a 5Mb/s download speed is enough though, and i’ve bought Saints Row 3, Homefront, Mafia II and Assasins Creed, all on a 2GB PC with onboard graphics. Sometimes lag is an issue, but that’s always a problem for any streaming service. OnLive does need more AAA games for it to become a proper contender but as we’ve seen with movies and music, streaming games will soon be a normal part of our home entertainment. 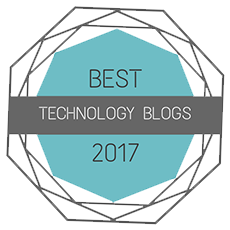 The fact you can use it on a variety of platforms too is great – a microconsole on your TV with a pad, at a desk with mouse and keyboard for FPS games, or on your phone/tablet. OnLive is a fantastic system, and the fact you can trial games for half an hour free is perfect for anyone to dip their toes in the water and give it a whirl. Um its free to get a membership to try the games out, it costs money to buy them.